HomeWorks QS - Technical Comfort, Inc. Living in your home should be as spectacular as the home itself, which was Lutron’s goal in designing the HomeWorks QS home automation system. With HomeWorks QS, your home becomes more friendly, more luxurious, more convenient, more energy efficient and more beautiful, all at the same time. From the moment you wake to the moment you turn in for the evening, HomeWorks QS will cater to your every automation need and desire. Wake up to a soft, gentle light, either by slowly raising blinds or adjusting light fixtures. Control it all on a schedule or by the HomeWorks QS tabletop keypad by your bedside. Your kitchen beautifies your morning with recessed ceiling fixtures and under-cabinet lighting for cooking. At breakfast, you are bathed in natural light as your shades rise to let in the light of the day. When you leave the house, a simple touch of the Away button makes sure that lights, shades, temperature and appliances are all set as you wish them to be, both to conserve energy and secure your home. And when you return, your home is already greeting you with Geo-fencing technology that knew you were on your way. Your dining room, family room, living room, and terrace are all controlled by beautiful keypads and controls to help you create exactly the right atmosphere. And if you’re sitting down for a fun night in your home theater, HomeWorks QS sets the mood as you get ready for the evening’s entertainment. And at the end of the night, turn all the house lights off with a single press of the Goodnight button. Everything in your home -- including lights and shades throughout your house, security shades, temperature controls, appliances -- is set exactly how you want it to be. No worries about forgetting to turn off a light or close a shade. HomeWorks QS delivers style and design options that are unmatched by any other home automation system. Wall-mounted controls enhance the beauty of any room, either by standing out or blending in. We will work with you and your designer to choose the right control colors and styles for every room in your home. The Architectural styles feature square corners and beveled edges, the New Architectural style also features square corners but with a flat front, and the Designer styles have round corners and square edges. Here are your color and finish options for all of the controls available for HomeWorks QS. And you can see Lutron's Catalog of Homeworks QS controls and keypads here. We are always busy and in demand, so please call (949-212-8117) or contact us early so we can make time to properly plan and schedule your Lutron Project. Roller Shades -- Near-silent operation and precision control of daylight...battery-powered, if you wish. Honeycomb shades -- Luxurious textures, beautiful colors, and superior insulation, also available battery-powered, if you wish. Drapery Track systems -- Tradition and style might make these draperies the right choice for your decor. Kirbe Vertical drapery systems -- Get an unobstructed view with these draperies that lift vertically. Wood Blinds -- Tilt the slats, or raise and lower the blinds, to create just the right view and allow in precisely the right amount of light. Horizontal Sheer Blinds -- The elegance of a sheer but with the precision of a blind, this is the choice for you. Roman Shades -- Reliable, smooth and quiet. Tensioned Shades -- Have skylights or angled windows? These shades give you reliable control of daylight and temperature. 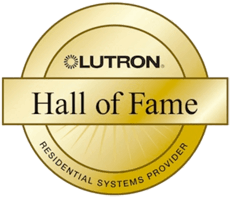 Lutron has been focused on energy efficiency since the 80’s, which is why HomeWorks QS beauty is only matched by its energy saving options. You will be able to not only help save the planet, but save on your own energy bills as well. Use natural light to your advantage -- Warm your home with the sun on cold days, and keep the heat out on hot days, all with automated shades and blinds. Scheduling -- Open and close blinds, shades and drapes, adjust temperatures, and turn off lights at times you don’t need them...all on a pre-programmed schedule. Temperature control -- HomeWorks QS integrates with Lutron’s own thermostat or many other manufacturer’s thermostats. Dimming -- Save energy or set a mood, it’s up to you. LED Lighting -- Use efficient LED lights and save almost 90% on lighting any space. Occupancy sensors -- Did you forget to turn out a light after leaving a room? Your lights can turn off automatically. Wireless Temperature sensors -- Why cool or heat your home based on the current temperature in a room you’re not in? Use remote wireless sensors to keep you comfortable. Control Ceiling Fans -- Move the air to make you feel cooler in the summer, warmer in the winter, without the A/C or heater. Goodnight button so you know it’s off -- One button does it all. Lutron works with all the top manufacturers and is committed to ensuring that their systems integrate reliably with a wide variety of remotes and automation systems. Homeworks QS can also control your garage doors and integrate with your home security system. Is HomeWorks QS Right For Your Home? There’s no other home automation system that can do all that HomeWorks QS can do. 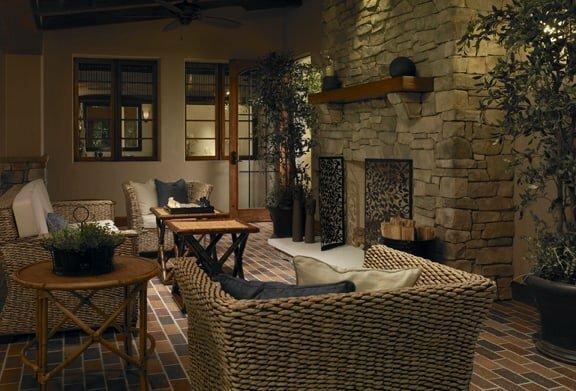 Because Lutron’s HomeWorks QS can use Lutron’s proprietary RF technology or wired communications, it’s ideal for both new homes and retrofit projects. And there’s no need to be concerned about reliable system communication throughout your large home, since HomeWorks QS is designed for RF coverage of up to 100,000+ square feet of space and control of up to 10,000 zones. We can explore the possibilities of a HomeWorks QS system in your home. Whichever Lutron system you select, we will design the perfect system for you, install it perfectly, and program it to work beautifully, just as you imagined. If you’re planning a remodel or new construction project, contact us early. We’re always busy and in-demand, so please call us soon so we can schedule time for you. Our office is conveniently located in Laguna Niguel, close to all of Orange County and surrounding areas. © 2019 Technical Comfort Inc. -- All Rights Reserved. © 2018 Technical Comfort Inc.